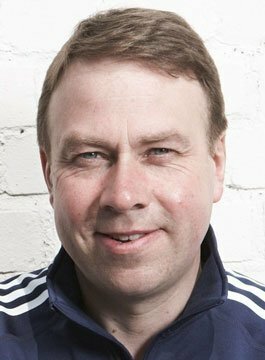 Andy Hunt led Team GB as Chef de Mission at the London 2012 Olympic Games, achieving the best performance of a British Olympic team in 104 years, considered one of the greatest sporting successes in British history. Andy was CEO of the British Olympic Association; an organisation that under Andy’s leadership was modernised and transformed to become one of the leading National Olympic Committees in the world in preparation for hosting the Olympic Games. Andy was a Board member of the London Organising Committee of the Olympic Games (LOCOG) that delivered what has been described as the greatest modern Olympic Games thus far in history. Team GB won the Team of the Year at the 2012 BBC Sports Personality of the Year Awards and the Landmark Award at the 2012 National Television Awards. Andy Hunt is a charismatic and inspirational business leader who after 25 highly successful years in UK and International commerce moved into Sport, bringing with him a deep understanding of how to create a thriving organisation that could deliver flawless support to the nation’s finest athletes at such an important moment in our history. “Andy provided a real insight into the preparation and planning of Team GB in advance of the London 2012 Games. It was a real inspiration to our Private Equity Club members and I don’t think anyone had any idea of the breadth and complexity of what is being done to ensure our finest athletes have the best chance of success at the Games this summer”.